The new Baby Jogger City Versa combines the Baby Jogger City Mini together with the Baby Jogger City Select, to create a really interesting, compact, fast folding, parent & forward facing single pushchair. 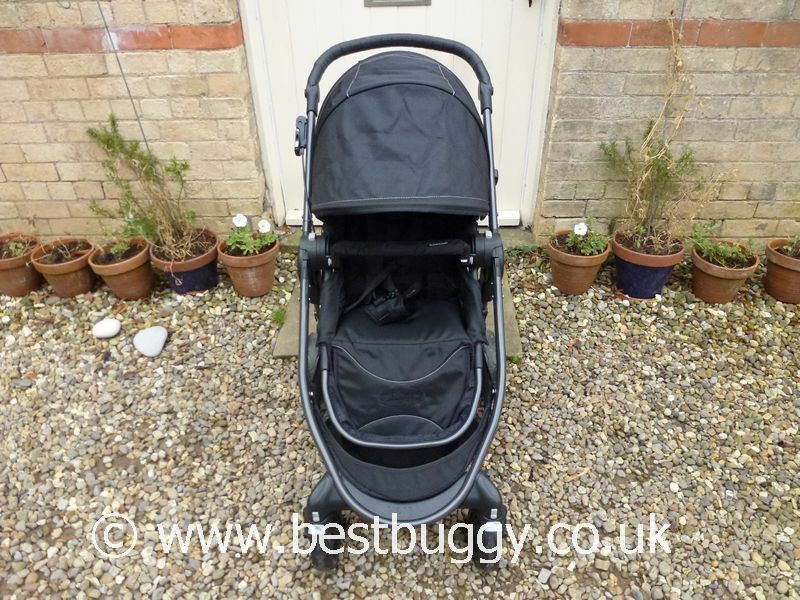 The Versa has classic Baby Jogger features like a large basket, huge hood, handbrake and best of all the one handed fold (all be it in two steps) no matter which direction the seat is facing! Not only that but the seat "remembers" the last position it was folded in, so that the seat is ready to go on your next outing. 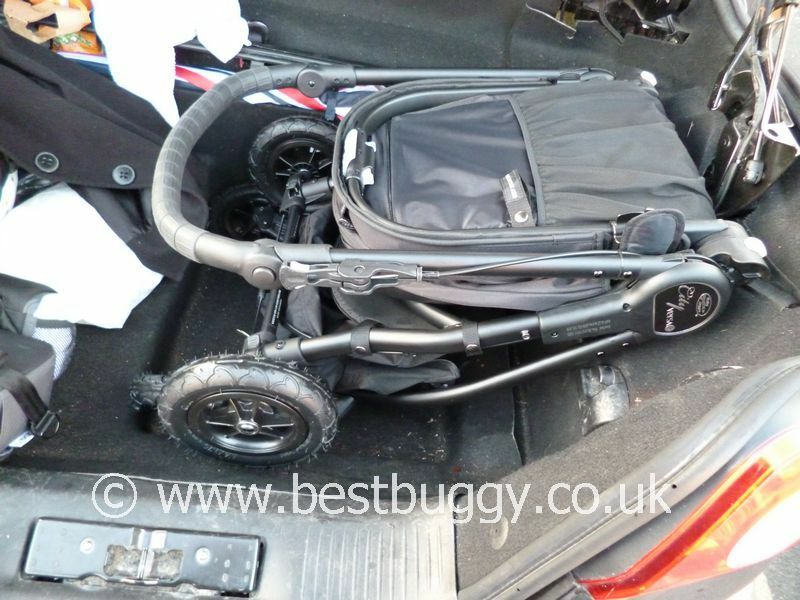 For those who want to take their pushchair off road, there is all terrain version with small foam filled tyres - the Baby Jogger City Versa GT!! 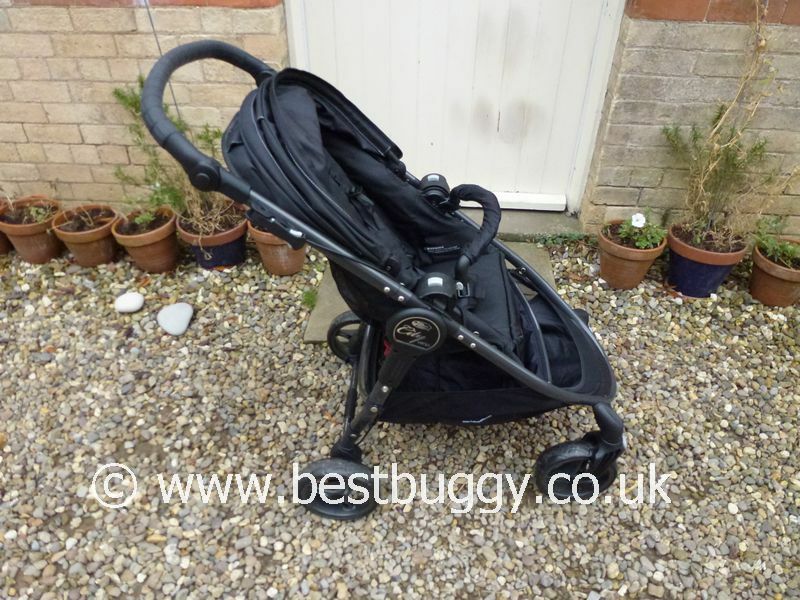 Wow what a pushchair! The Versa seat faces in either direction. The one handed fold with the seat in either direction is a huge plus. Large storage basket. Handbrake. Large child capacity (50lbs in the US). Auto lock. Rotating handle with a large range. Extending footrest. Tall seat - 2 ins taller than the City Select. 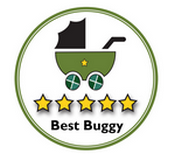 One of the best pushchairs that we have tested to date. Feels heavy to lift - but is not heavy to push. Raincover and belly bar are extras. 8" Quick release Eva wheels. Dual swivel / lockable front wheels on the regular Versa. There will be a Versa GT with small 8" foam filled all terrain wheels. The photos above show both the Versa and Versa GT. 100.3 - All open / closed measurements are for the Versa, not Versa GT. The seat units are the same size. It is possible to move the footrest out of the way so that an older child can rest their feet on the footrest at the front of the basket. The Versa GT will only come in black. The one handed fold is a two step fold. 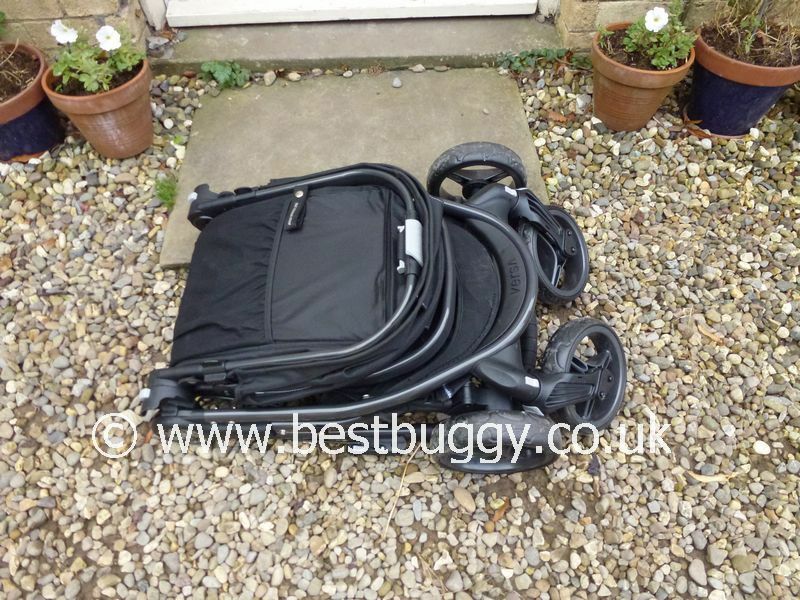 The seat is folded down first and then the pushchair is pulled shut. The Versa can be folded with the seat in either direction. The seat has a "memory" which means that the pushchair will reopen with the seat in the last position that it was placed in. There is a multipositional recline in either direction. The footrest extends a notch like the City Select seat. There is a Versa GT option with foam filled all terrain tyres. 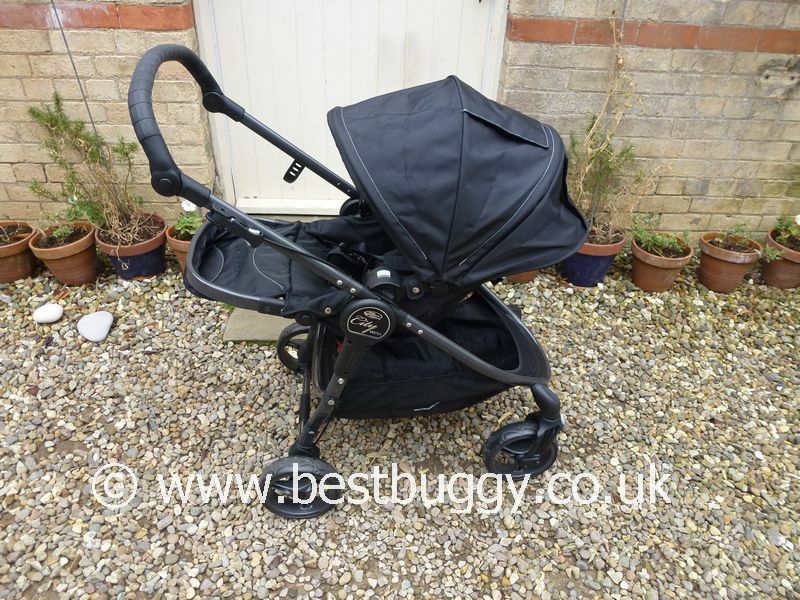 Raincover, Carrycot, Maxi Cosi Car Seat Adaptor, Belly Bar, Child Tray and Glider Board are all optional accessories. Baby Jogger City Versa – It’s Here!